This is a collection of chess columns that originally appeared between 1972 and 1977. It might be called a collection of his best columns. You will notice a particular style to his columns. Byrne starts with a story or an anecdote about chess or he sets forth a general principle for the reader to follow. Having done that he then presents a game in which the principle he has just set forth is applied. 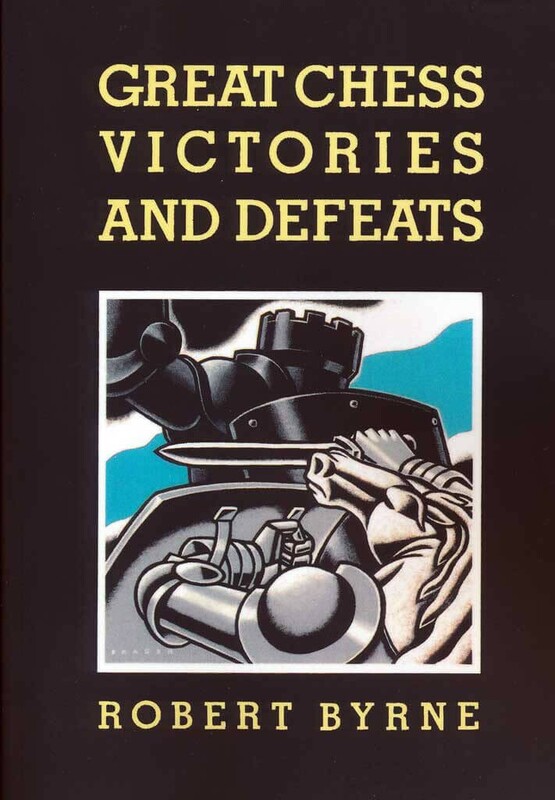 Great Chess Victories and Defeats analyzes games by Kavalek, Larsen, Bisguier, Portisch, Petrosian, Karpov, Polugaevsky, Korchnoi, Timman, Saidy, Benko, Hubner, Tal, Bronstein, Lombardy, Spassky. Well renowned grandmaster and chess columnist Robert Byrne unveils the all-or-nothing strategies employed by greats of the game in recent tournaments. Here is Byrne's insightful examination of over fifty examples of brilliant combinational play and positional play. An instructive, vividly entertaining work that captures the drama tension and excitement of world class chess.